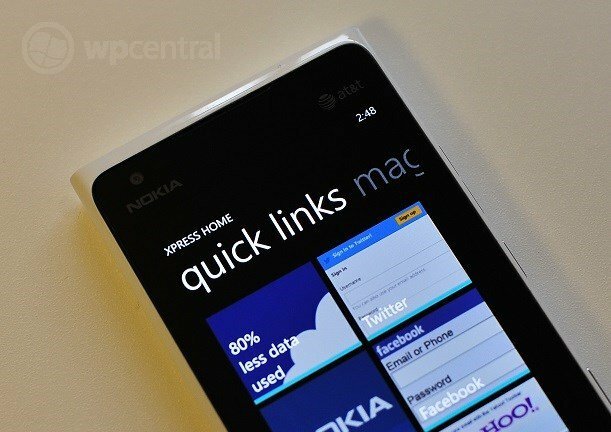 Nokia has gone ahead and pushed out a beta app for its Lumia users. The app is called Xpress (Beta) and it’s an interesting concept, mostly for those folks who are on tight data-plans or are roaming internationally. In essence, the app acts as a gateway to Nokia’s Xpress cloud service. That program takes data and compresses it before it gets to your device, cutting down on data consumption quite dramatically. It’s a similar concept to what we’ve seen in the past with Opera Mobile which also had a method to server-side compress data. The app opens with a bunch of quick-links to common services like Facebook, Twitter, Wikipedia etc. and you can add your own via the built in browser. Yes, the app has what looks to be an specially configured IE9 browser that runs its data through Nokia’s servers, allowing to you compress data. It also features a “magazine” function that makes it more similar to a nice RSS feeder, striping away unnecessary formatting. 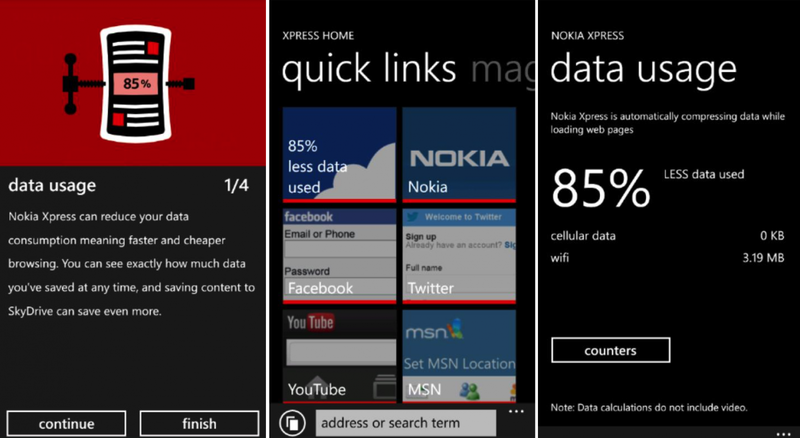 Nokia Xpress Beta is certainly an interesting but niche app. For those who are on plans with 2-5GB a month, there is no real benefit in using it or downloading. But for those in markets where data comes at a premium or if you’re roaming internationally, Xpress Beta seems like a lifesaver. In fact, this app looks ike it is destined to fill in the "gap" between Windows Phone 7.x and Windows Phone 8 as the latter will such a service "built in" to the OS. Nokia mentioned how they would do this at the June Summit and this looks to be an extension of that effort. 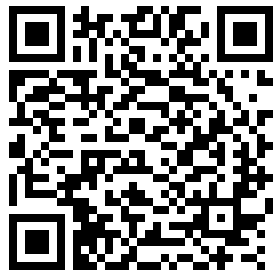 Nokia Lumia users can pick it up here in the Nokia Collection.